The county treasurer collects a sales or use tax on all vehicle purchases except motorcycles purchased from a Wyoming dealer. Sales tax applies where the purchase of the vehicle occurred in Wyoming. Use tax applies where the purchase occurred outside of Wyoming and is for the use, storage or consumption of the vehicle within Wyoming. A sales or use tax is due prior to first registration of a vehicle. Sales tax is due in 65 days. Penalties will begin collecting a 1% per month interest fee starting with the 66th day, and a civil fee of the greater of $25.00 or 10% of the tax beginning the 66th day. So if tax is not paid in 65 days, then the customer will receive the penalties. The appropriate tax rate is determined 6%. 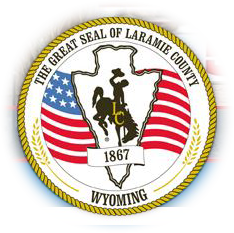 For sales and use tax rates of all Wyoming Counties, visit the Wyoming Department of Revenue's website at: http://revenue.state.wy.us.